Spring greetings from the Berkshires! The snow has melted and the first tentative signs of spring are here. Before long our busy summer season will be here and we will see many of you who visit the Berkshires to take advantage of Tanglewood, Jacob’s Pillow, and all of the summer theatre and music venues. We hope you and your families have had a pleasant winter season and look forward to seeing many of you here during the summer or at the SOFA shows in New York and Chicago! Holsten Galleries has just launched a "new" website. The overall appearance and layout of www.holstengalleries.com has not changed significantly but our new site allows us to update available artworks on a much more regular basis. The site is now nearly 100% up to date on all works at the gallery. There are also some new pages for artists we have recently added, including Paul Cunningham, Jon Kuhn, William LeQuier and Michael Taylor. 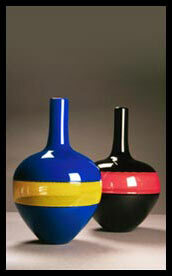 The new Chihuly studio editions are in! June-July: 2007 Summer Glass Invitational Exhibition. Featuring 30 artists including Sonja Blomdahl, Dale Chihuly, Robin Grebe , Sidney Hutter Jon Kuhn, Dante Marioni, William Morris, Lino Tagliapietra, and Steve Weinberg. Holsten Galleries will present two one-person exhibitions: “Russian Group” by Marvin Lipofsky and the “Fish Trap” series by William Morris. 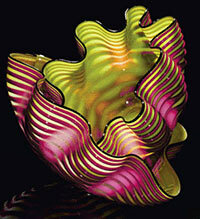 Dale Chihuly and Lino Tagliapietra. Michael Taylor comes to us after a long and prestigious career, during which he has taught and worked across the globe. This spring he is returning to Lisbon’s Nuevo University where he is constructing a glass curriculum. 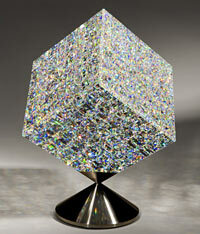 He will also complete work on a stainless steel and glass installation on Madison Avenue in New York City. 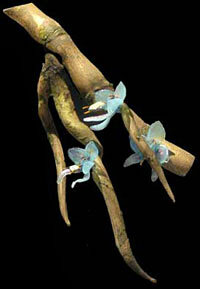 Debora Moore is a Seattle glass artist whose work has quickly gathered acclaim for its remarkable delicacy and evocative form .She is known for her floral images, especially orchids. Her fascination with natural forms has recently led her to Antarctica. Paul Cunningham also hails from Seattle, having worked there with many notable artists, including Dale Chihuly, Lino Tagliapietra, and Richard Marquis. He has taught in the States and in Japan, and exhibits his work internationally. 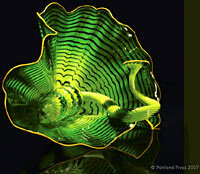 He currently owns his own “hotshop”, Cunningham Glass, in Seattle. Our featured artist, Jon Kuhn is one of the foremost artists in his field, crafting highly intricate and architectural glass sculpture that has won world-wide acclaim. 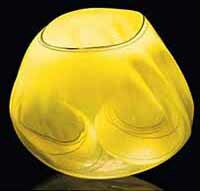 Kuhn works exclusively in cold glass, cutting the glass into small segments before polishing and fusing them into abstruse knots of light and color. Kuhn draws aesthetic inspiration from mathematics, textile art, and architecture, but is moved to make pieces that reflect that “the goal of spirituality is perfection.” Kuhn has studied Eastern Spirituality extensively, and draws upon Eastern traditions as inspiration for his work. “Striving for perfection has never been more evident in what I do,” Kuhn writes. “Perhaps my sculpture has become an architectural model of a vision for a better world." 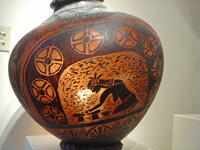 Kuhn originally studied ceramics in college, receiving his MFA from Virginia Commonwealth University. His work can be found in many private and public collections, including the White house Permanent Collection, the Metropolitan Museum of Art, the Smithsonian American Art Museum, the Carnegie Museum of Art, and the Corning Museum of Glass. He resides in Winston-Salem, North Carolina. Jon Kuhn’s "Mare di Amore" is one of the most amazingly intricate and beautiful pieces of glass sculpture we have ever had in the gallery! The image in this letter only hints at the complexity and multi-dimensionality of this work. At a recent art exhibition we participated in in Los Angeles (Los Angeles Art Show), this piece was certainly the star of the show. Viewing Kuhn’s piece, “Mare di Amore,” is like looking at sun sparkling on water in the summer. Technically exquisite, it lifts the spirit and brightens the mind." 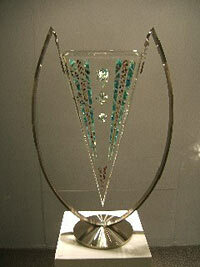 "Mare di Amore" represents the culmination of Jon Kuhn’s work in glass over the past thirty years. Here Kuhn seems to capture a moment frozen in time on a grand scale. 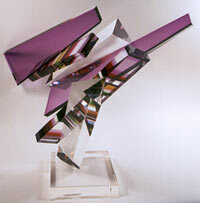 There is an amazing interplay between the transparent elements as the viewer is transported into a world of pure form. It is a language of the essential and a place for quiet contemplation. When I look at Kuhn’s “Mare di Amore” I hear music. 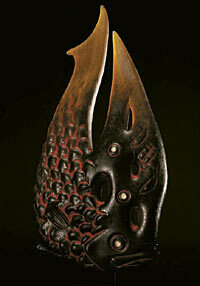 This glorious sculpture reminds me of an instrument from another place and another time. The magnificent scale, the classic form, and the sparkle literally make my heart sing. 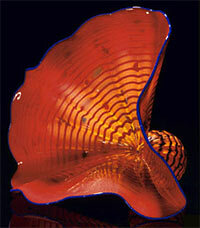 Dale Chihuly: “Chihuly at Fairchild” Fairchild Tropical Botanical Garden 10901 Old Cutler Rd. Coral Gables, Florida 33156 305-661-8953. Through May 31, 2007. “Chihuly at Phipps: Gardens and Glass” Phipps Conservatory and Botanical Gardens 1059 Shady Avenue Pittsburgh, PA 15232 412-441-4442. May 10 through November 11 2007. “Wrapped in Tradition: The Chihuly Collection of American Indian Trade Blankets” Mayborn Museum Complex 1300 South University-Parks One Bear Place #97154 Waco, TX 76706 254-710-1110. May 20 through October 8, 2007.